What’s the nicest way to end an event? Till today I’ve been to a number of Technical events and to be honest the ending had always been a bit boring. Most of the good sessions were over, all of the announcements had been made and most of the attendees had gone shopping or to sleep instead of attending. Well that’s not the case with the MVP Summit. The closing sessions were probably what everyone expected I guess. The guys that are taking over from BillG, namely Ray Ozzie and Steve Ballmer shared their vision for the future of IT and let us in on the company’s strategy for the years to come. 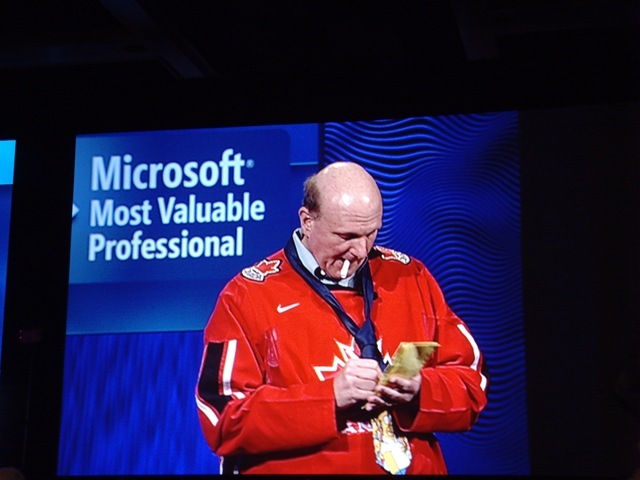 For me this was the first time to see and hear Steve Ballmer live and I must confess that it’s something one has to see to believe.